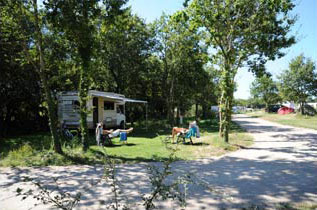 Campers, campers and caravans , discover the spacious and spacious sites of the Domaine de Léveno. In a green setting, enjoy locations defined by separations in the heart of a pleasant park where you marry calm and relaxation . 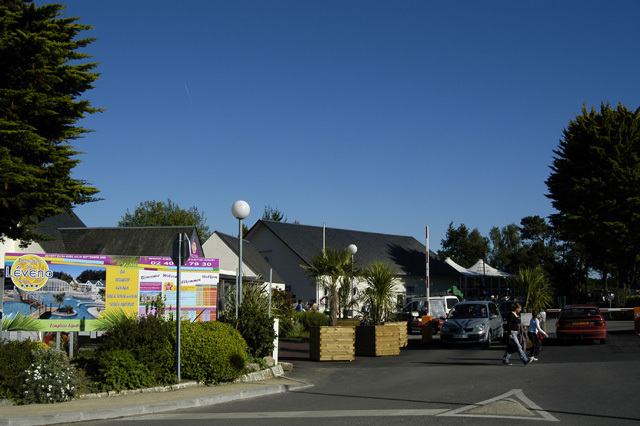 Welcome to the Domaine de Léveno campsite. Two options are available according to your needs. "classic" locations with surface <100m ² , including 10 amps electricity and running water >. 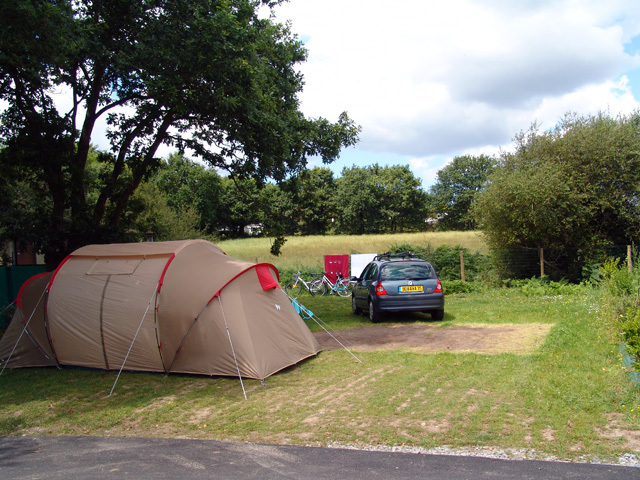 The "premium" locations , which include in addition to the classic formula a shed with barbecue, sunbathing, refrigerator, garden furniture and a sink hot / cold water. The maximum capacity per slot is 6 people , whatever the formula chosen. The basic rate package is calculated for 2 people. Arrivals and departures are possible every day except Saturdays in July-August. During this summer period, a minimum of 7 nights is required to access the reservation. The Domaine de Léveno is partner with the organizations CCI, ACSI and ADAC . During the Green Season, location discounts are granted to all cardholders of these associations. A price of € 19.00 is set up for a location with electricity including 2 people and an animal instead of € 38 (excluding tourist taxes and excluding July and August). 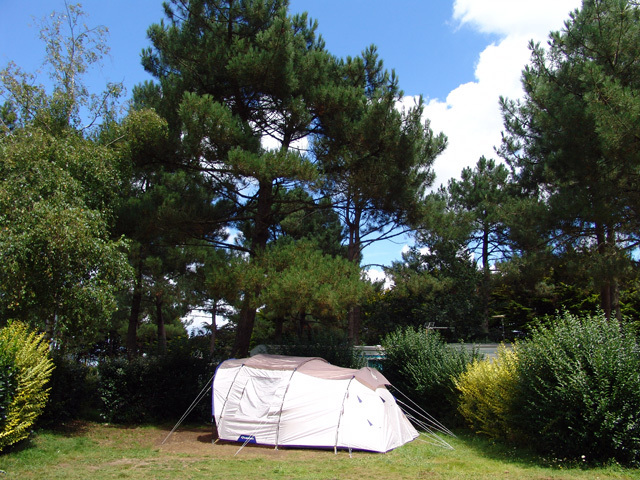 "Family weekend camper, the locations are very large and fully equipped (Elec / clean water / wastewater). Electricity 6 € / night, sup person from 5 to 10 € / night according to age and period. See prices of supplements below. 1 or 2 people + electricity. On your plot, find a cottage of 4 m² in which you have at your disposal a refrigerator, a sink hot water cold water. Also included is a garden furniture with 6 chairs and a barbecue. A location that will make you enjoy the greatest comfort on your site. Supernumerary from 5 to 10 € / night according to age and period. See prices of supplements below.